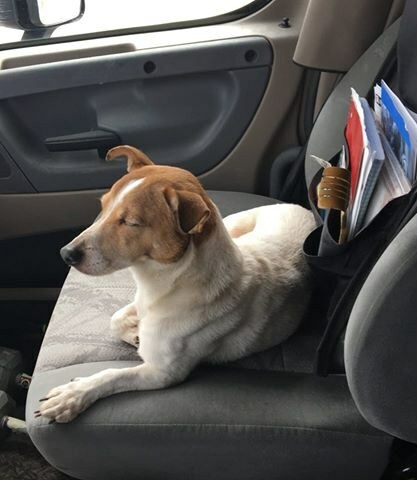 “When Dan O’Grady of Akron, a truck driver, passed the little dog abandoned on the side of the highway in Jacksonville, Florida, he could not ignore him. He exited the freeway and hoped he could get back to the dog before anything bad happened. Luckily, he got back in time, but the skinny dog yapped at him and kept running off every time he approached. “The frantic dog, a Jack Russell terrier, led Dan into the woods. It was clear the dog wanted him to see something. 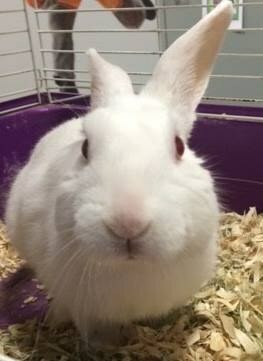 Under a bush, Dan saw a white domestic rabbit huddled there. Dan scooped up the rabbit and headed back to the truck, and the dog followed. 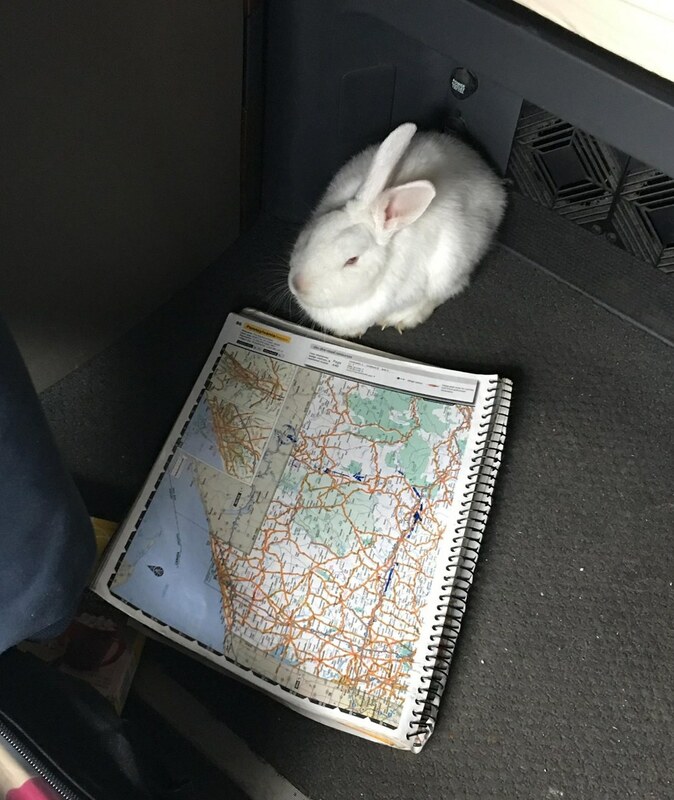 He dubbed them Highway and Interstate,” said the rescuers at the Humane Society of Summit County. It’s been reported that both Highway and Interstate have now been adopted.